As of January 27, 2013, savvy shoppers have one more variable to consider when deciding where to buy their goods. This marked the first day that retailers had the right to pass the cost of using credit cards on to their customers directly using what is called a checkout or swipe fee. Depending on the level of adoption of these new fees by the retailers important to your household or business, they could add up to a substantial amount of your budget. The fee, which may begin popping up at registers near you, is the result of a 2012 settlement reached between retailers and credit card networks. 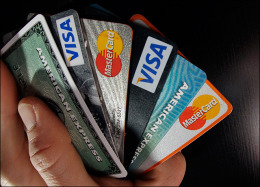 For years those networks have charged a swipe fee of between 1.5 and 3.5% per credit card purchase, used to cover processing fees and fraud. Merchants have long been against the fees, saying that they are a hidden cost that they are forced to pass along to the consumer in the form of higher prices. This settlement is the second victory for retailers in their struggle to come to grips with swipe fees. The first was the Durbin Amendment, which set a limit on debit card fees of 21 cents per transaction. The settlement regarding credit cards didn’t cap the fees, but it did give retailers the option of passing the cost on to their customers.